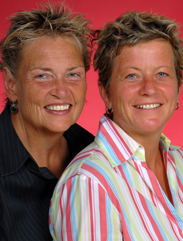 Adams (left) and Alschuler are partners and contributors to LGBT and health causes. Adams is a retired nurse and attorney. Alschuler is a naturopathic physician and co-author of Definitive Guide to Cancer: An Integrative Approach to Prevention, Treatment, and Healing.